watching the video at Lyons TV. 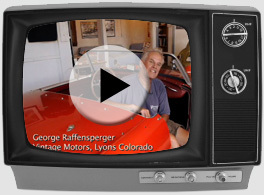 Welcome to Vintage Motors of Lyons, Colorado. We sell, consign and purchase cars of interest. 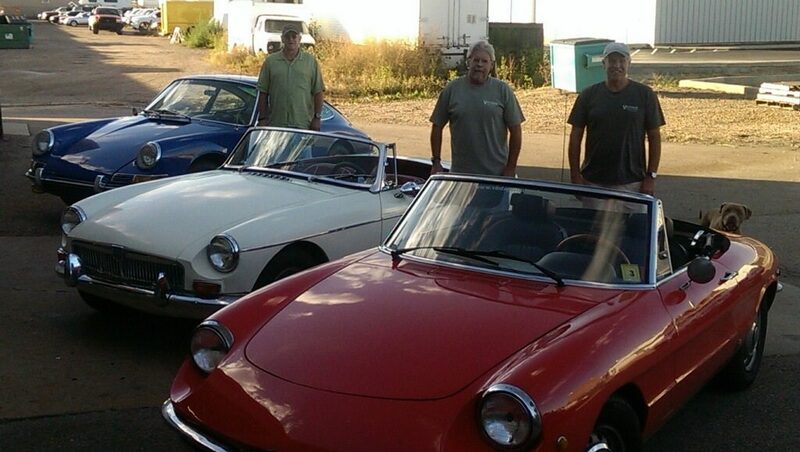 We find great cars,put them into good shape, and offer them to folks who appreciate them. Whether you are wanting that car of your dreams, a fun Sunday driver, or a high end investment car we can provide you with a car to meet your needs and for you to enjoy! 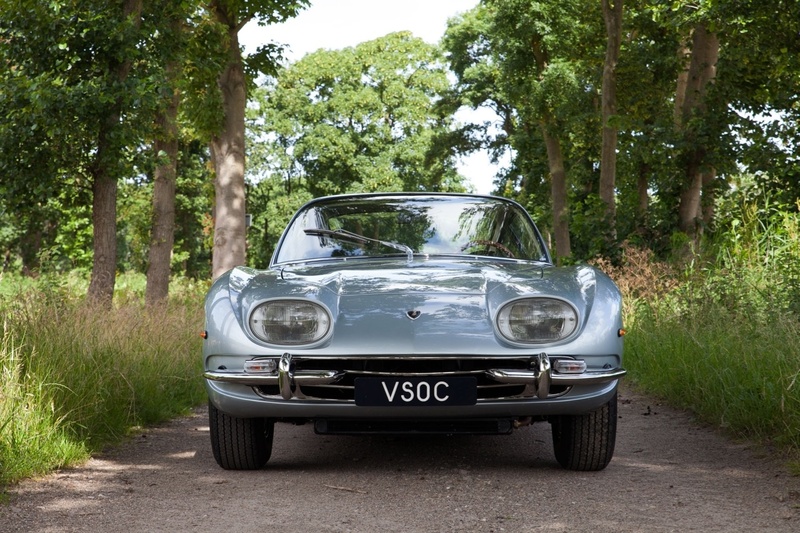 Our tastes in cars is quite eclectic; pretty much whatever we think is “cool”. If you’ll click on the “Cars We’ve Sold” page you can see what we mean (and check out what some of our customers have to say too). 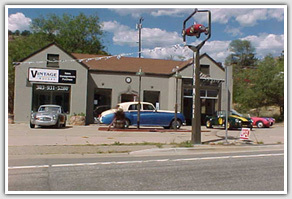 We are located in the small, friendly town of Lyons, Colorado. Lyons is nestled into the foothills of the Rocky Mountains and is called “The Double Gateway to the Rockies” as one can travel through Lyons to reach the high Rockies via two different spectacular canyons. 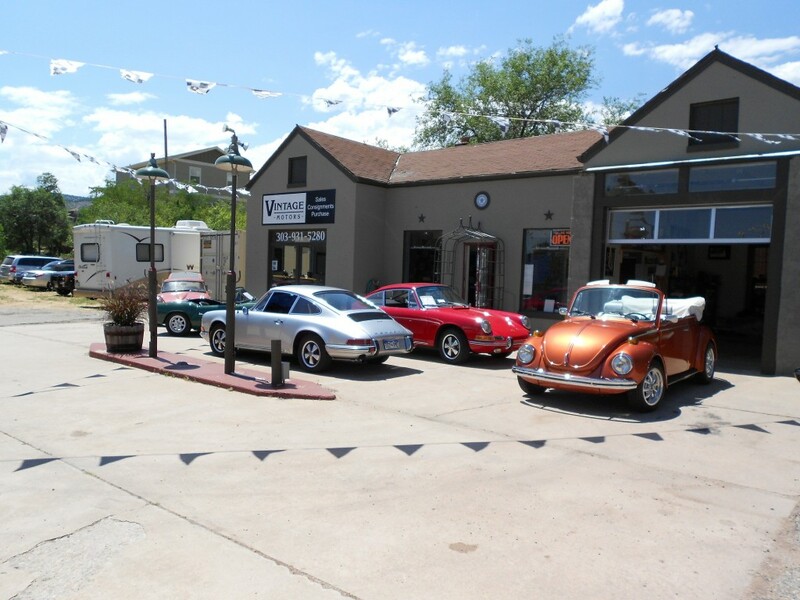 We are just northwest of Boulder, Colorado and our shop and lot are located at the junction of Hiways 36, 66, and 7 (you can’t miss us at this junction at the west end of Main Street). 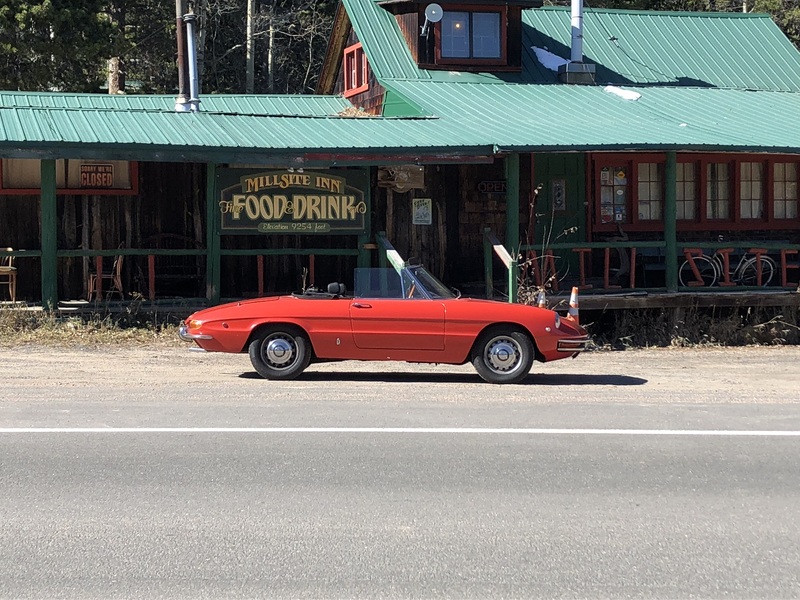 All of these roads offer great drives in your favorite car and the area has much to offer for sightseeing and fun places to eat, shop, and relax. Our building was built as a Texaco service station in 1936 and is where we have created a welcoming marketplace where car enthusiasts can gather to buy/sell and check out and talk cars. 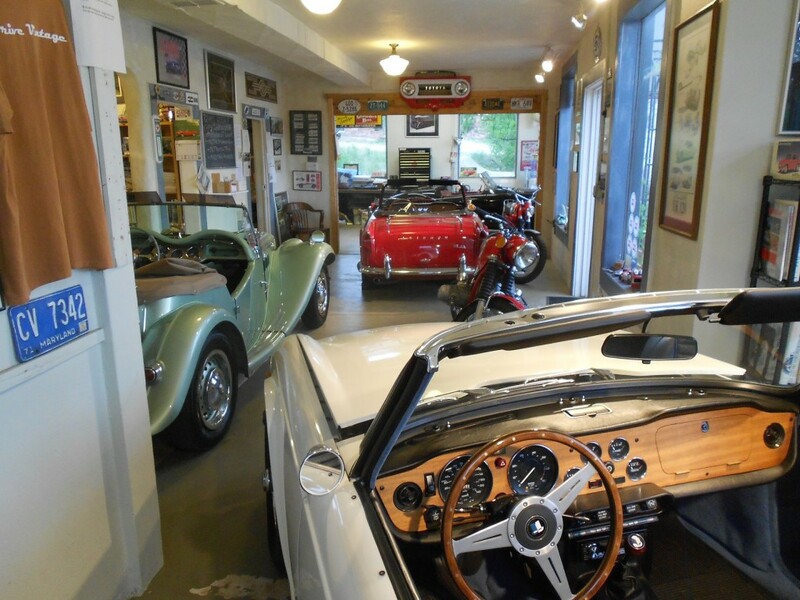 Clients and guests can enjoy a rest stop in our unofficial “pit stop lounge area” and peruse our collection and lending library of car books and magazines. We have automobilia on display, shop T-shirts and car art; be sure to pick up one of our free shop stickers too. We hope you will stop in to see us when you are in the area. You may click on Cars For Sale to view our current inventory. 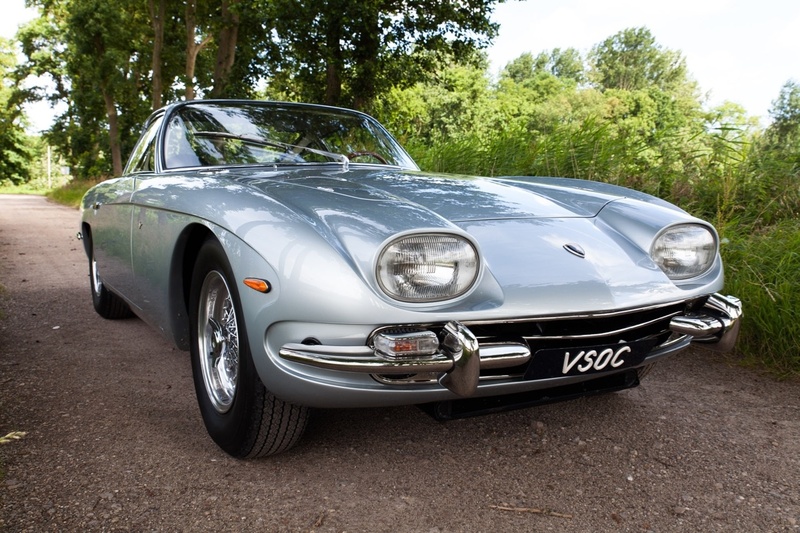 We sell cars we have restored, sell on consignment for clients; locate cars, appraise cars and do certified VIN Verifications for registrations. 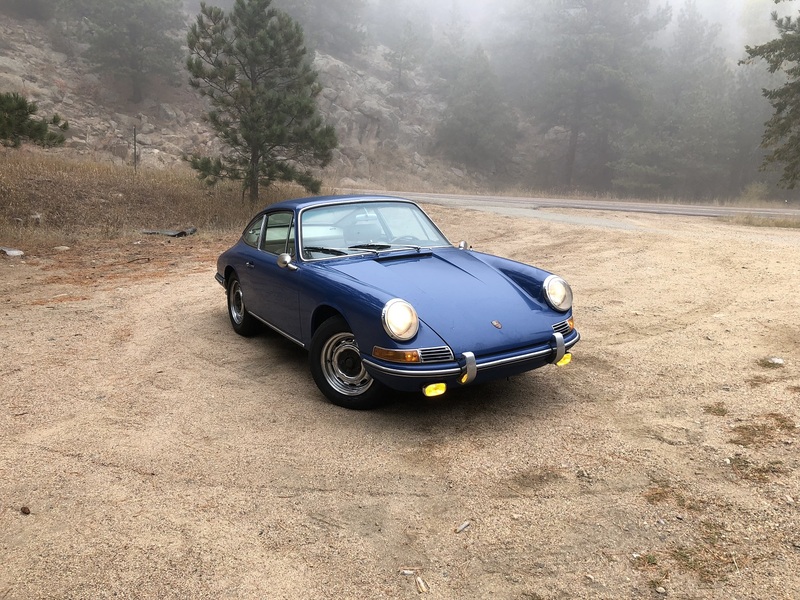 We enjoy a large network of car people and know of cars wanted and cars for sale. 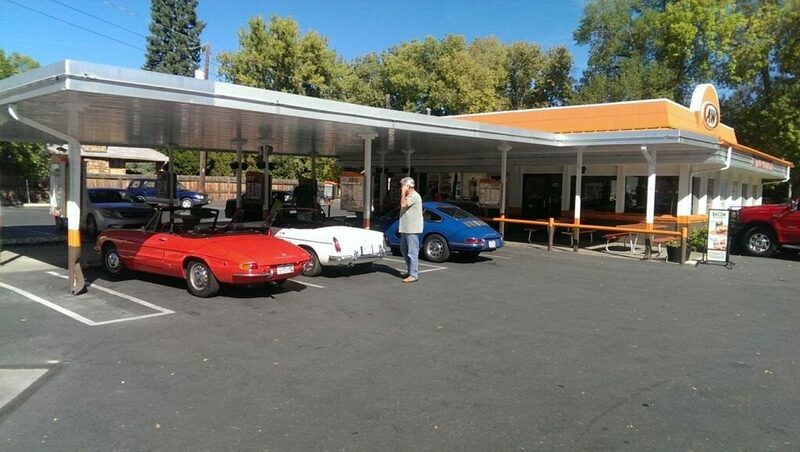 We enjoy hosting car club gatherings too. Again thanks for visiting our site and we look forward to meeting you in person next time you are in the area. One of the best things about having this business is the people we meet. 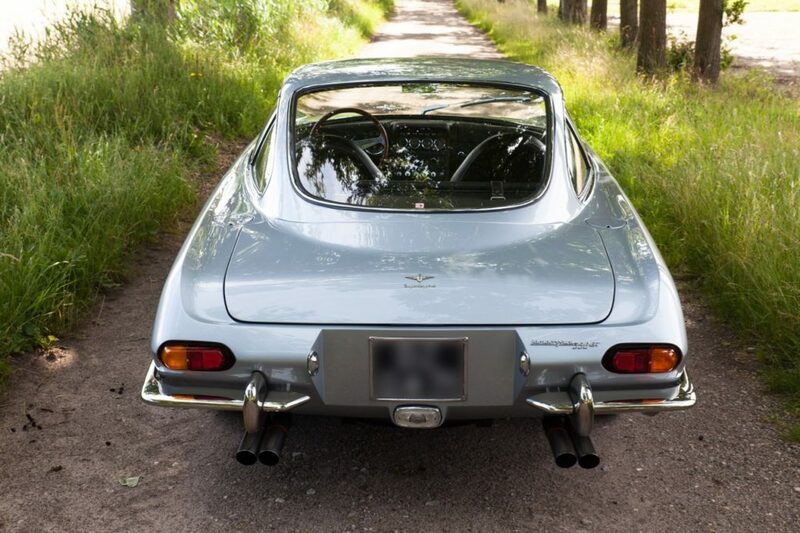 Regardless of the types of cars we may be into, car folks share a common bond of enjoying and appreciating cars. 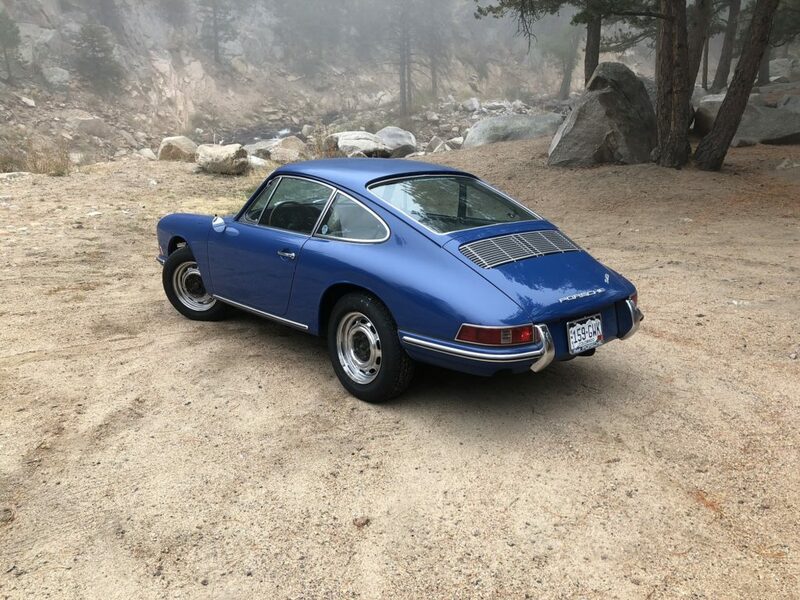 It is fun to hear the many stories of first cars, cars that got away, and of car and road trip adventures and miss-adventures! My passion for cars began as a child. By age 4, I could recognize and name most any type of car by make and model. This came from sitting on my grandparents front porch which was located on a T intersection in the small town of Gettysburg, Pennsylvania and watching the seemingly endless flow of tourist cars stopping in front of me on summer days. 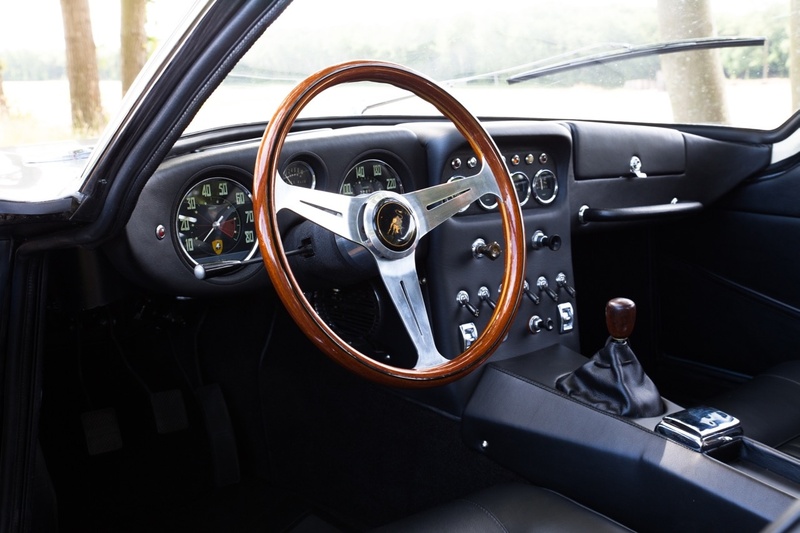 These cars of the 40’s, 50’s and 60’s captured the romance, style and beauty of the automobile. 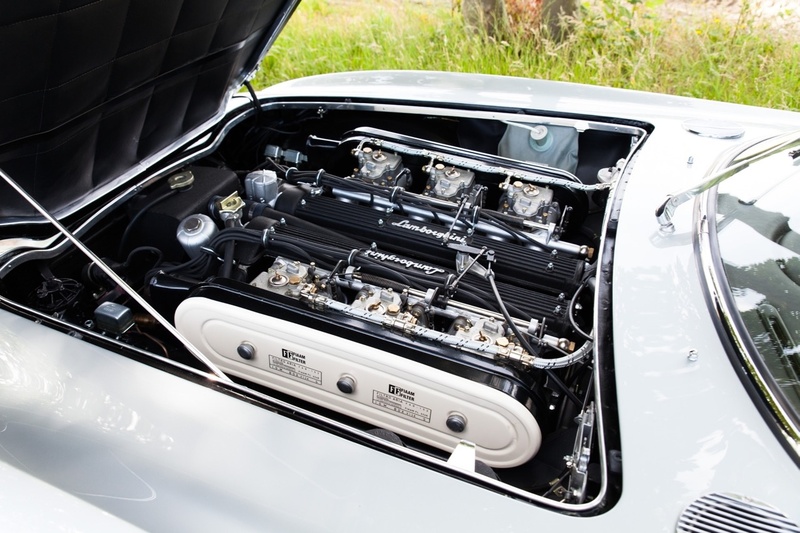 Hood ornaments, grilles, tail lights, hubcaps, body lines and shapes all comprised the ingredients to the elixir of cars. While in high school, I was fortunate enough to help my Mom pick out a new car for my Dad; this was a 1967 Mustang Convertible. I know that this car served my weekends and date nights as much as it did his “mid-life crisis”! 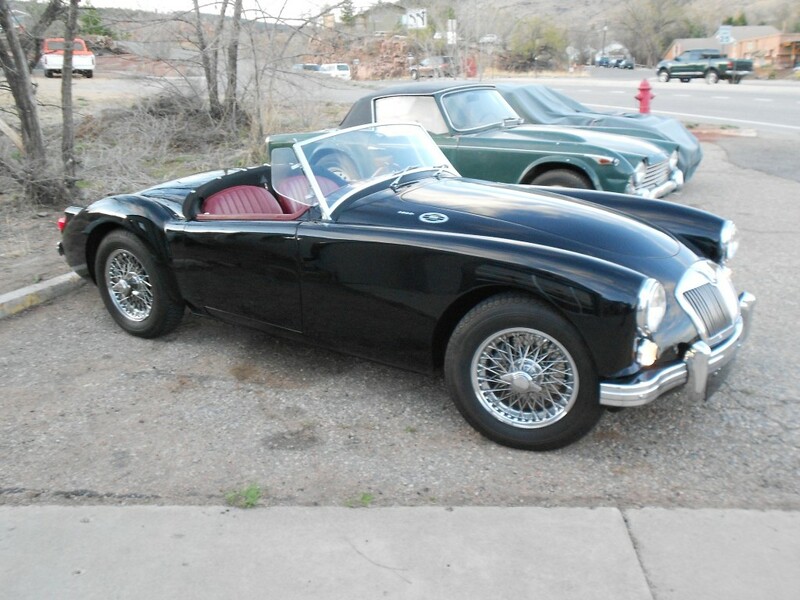 The following year, I bought my first car, a 1958 MGA 1500 Roadster. 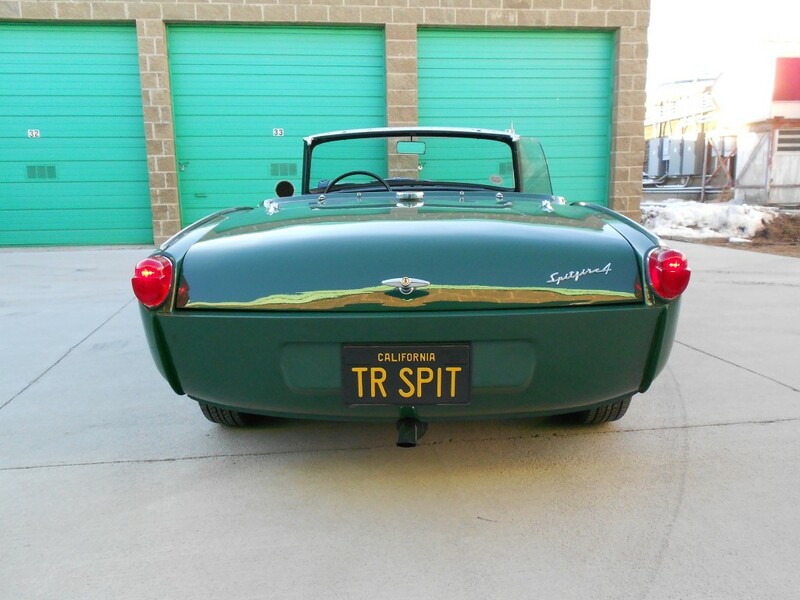 I worked at a local service station that summer and my “A” was on the lift or in the bay most every night as I worked on it; learning the intricacies of British cars! 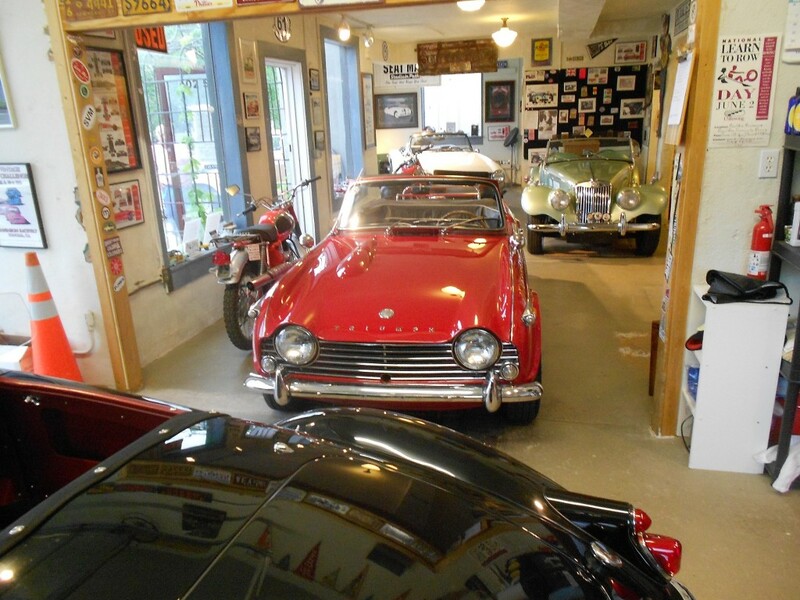 Many of my friends also had British sports cars or American muscle cars and my parents garage was usually the unofficial workshop for one or more cars. I’m sure they were glad to reclaim their garage after my brothers and I moved out! 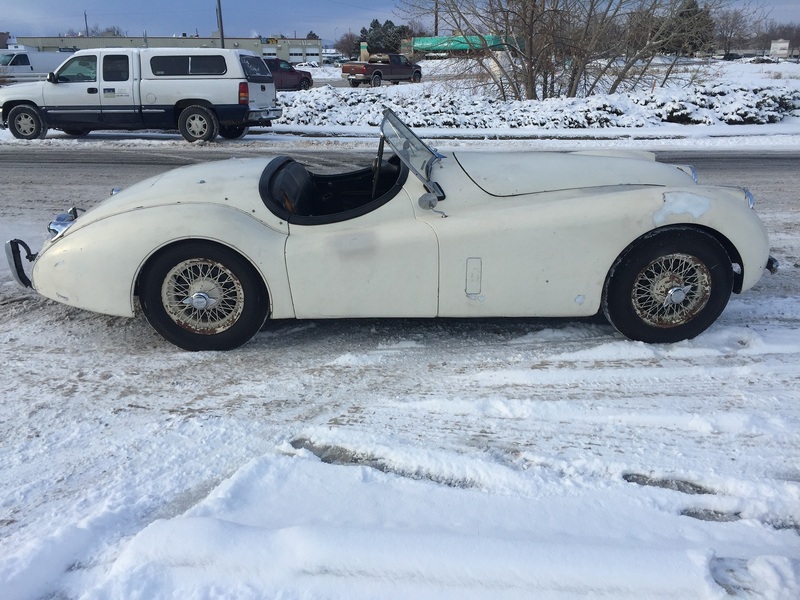 Since restoring my MGA , I have owned and worked on many types of cars and motorcycles, including all types of foreign cars as well as my now departed 1950 GMC Pickup truck. From performing all types of mechanical and maintenance work to engine rebuilds, I have enjoyed cars, most of all driving them! 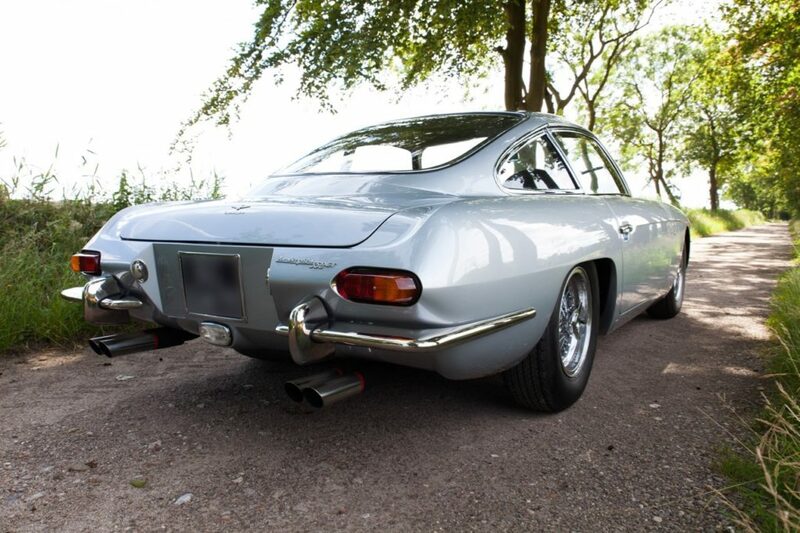 Our next door neighbor (who also owned a new 1966 Lotus Cortina!) campaigned a dirt track sprint car and I was always eager to accompany the car and crew to the local tracks. Going to the nearby Hershey Hillclimb and the GP F1 races at Watkins Glen in the 60’s and early 70’s were also favorites. 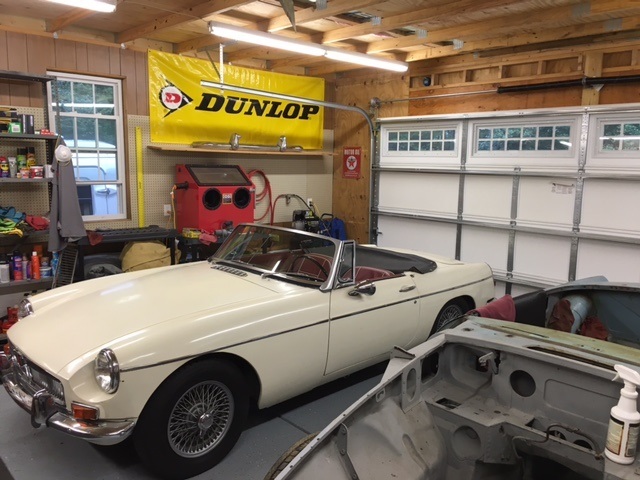 One of my brothers is restoring an early MGB and driving another; the other is one of the foremost experts in restoring vintage Land Rovers (his Series II 109 was recently featured on display at the AACA Museum in Hershey and in the Spring ’17 issue of “Alloy+Grit” magazine). I guess we have all kept our car dreams alive. Although we live in different parts of the country, we have traveled to meet in Sebring and Road America for races. 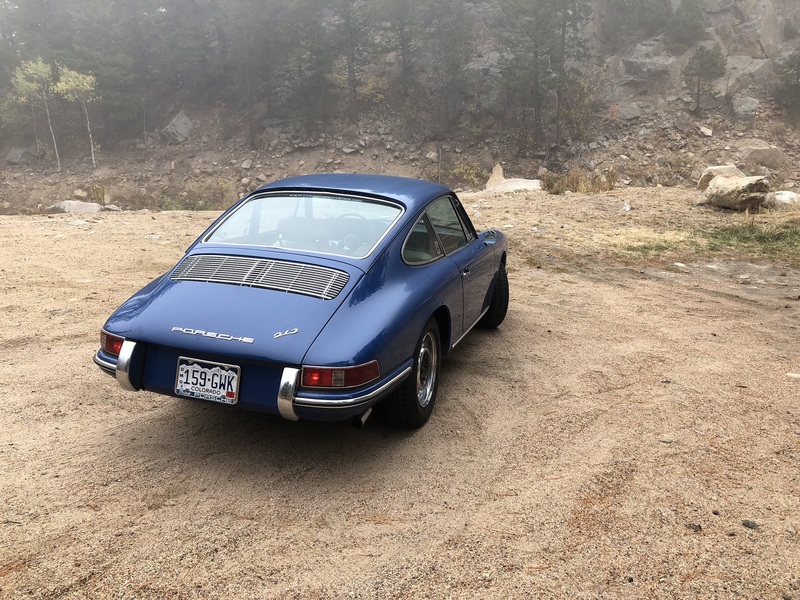 Vintage Motors is a way for me to share my passion for cars. 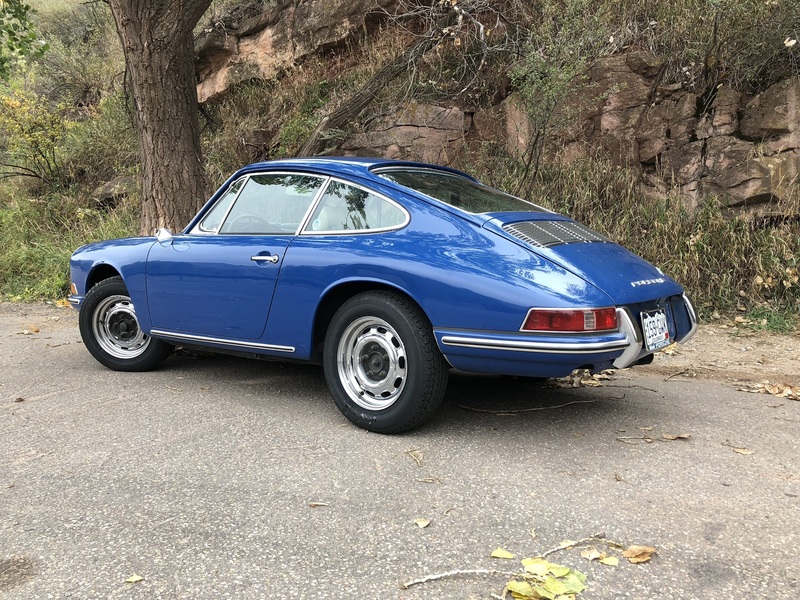 I strive to provide a genuine and honest approach for folks to buy or sell cars of interest with personal service and attention to detail foremost. 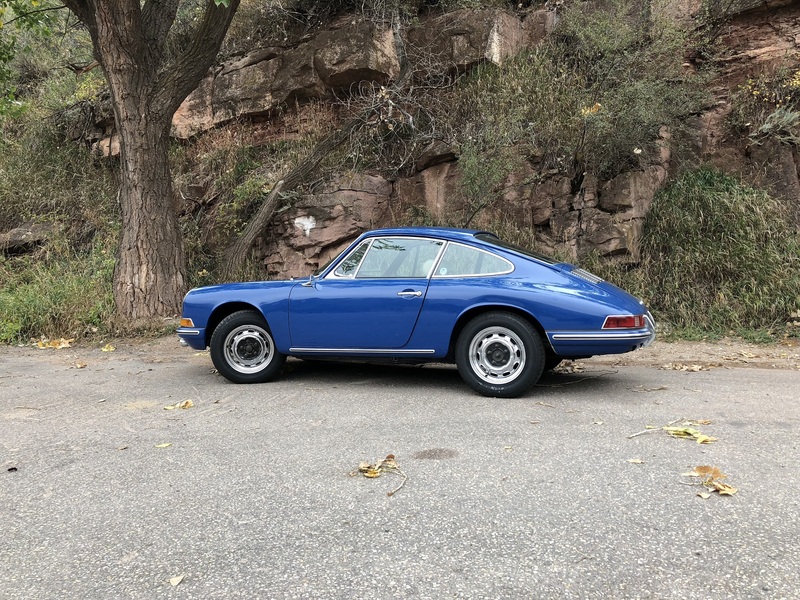 Please contact us (vintagemotorslyons@gmail.com or 303-931-5280) for additional information and details on any of the cars. 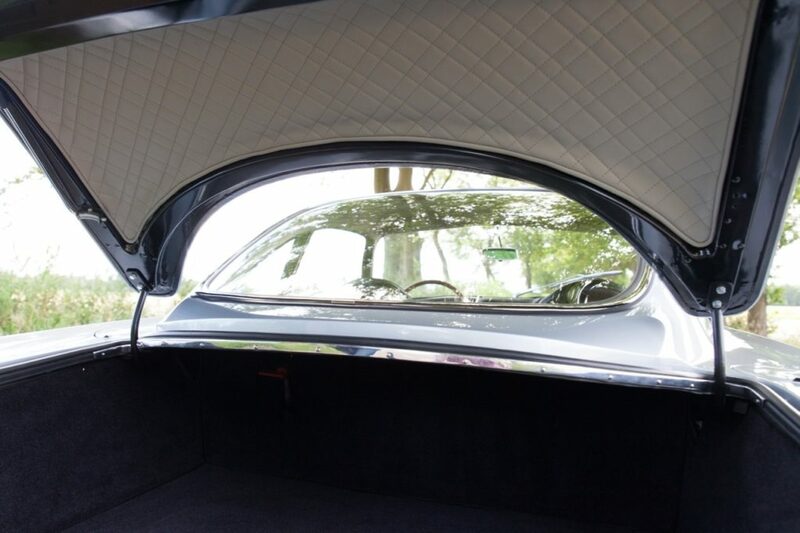 We believe in providing as much information as possible on every car we sell and in honest and forthright business dealings always. 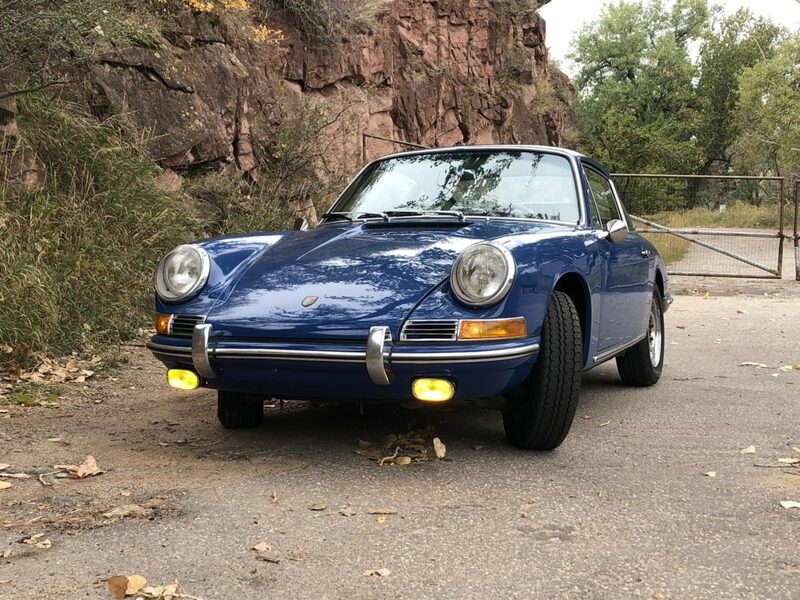 We are a licensed and bonded car dealer in Colorado. Paying It Forward: We are proud to be able to help support several of our local community non-profits and are also glad to make a contribution to the non-profit of your choice in your name with each sale. Meeting one of my car “heroes”, Peter Egan, was a real thrill; he is even more entertaining in person than in his articles (those being the first read in R&T & Cycle World back when)! 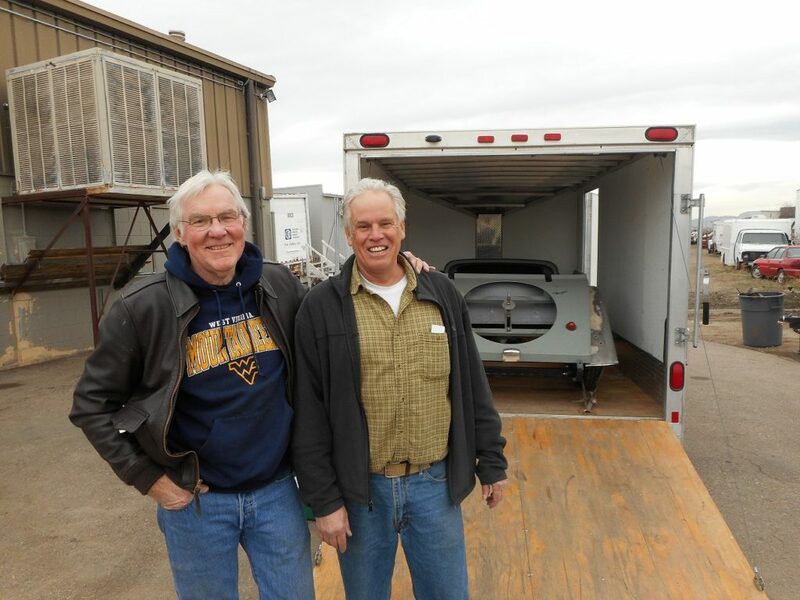 I helped to get this abandoned 1965 Morgan titled for him to purchase and here we’ve just finished loading it onto the trailer for him to take it home to Wisconsin from Colorado. You know he is going to do just a great job putting it back together! 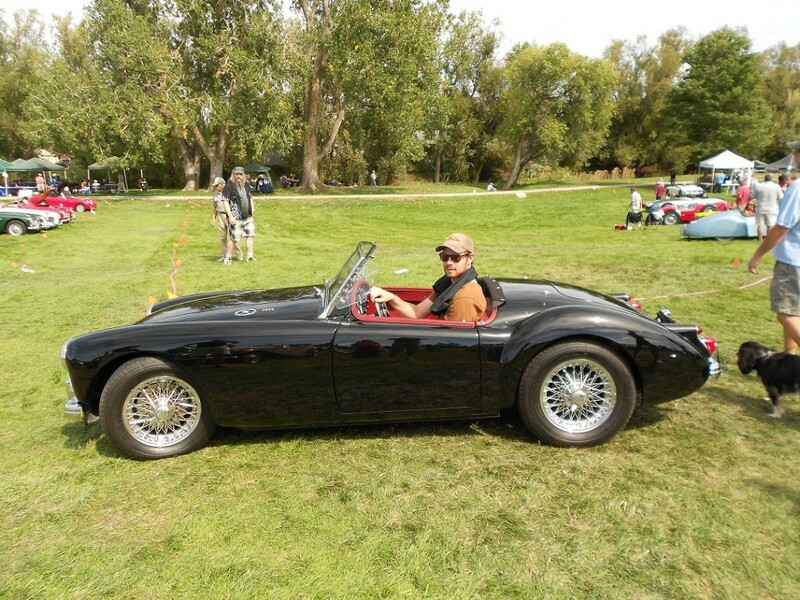 This is a photo taken of our son Taylor in our 1960 MGA Mk1 1600 Roadster at the British Car Conclave in Arvada, CO a few years ago. He prep’d and detailed the car to show it at this event. You may see Taylor at the shop where he helps us work on cars. 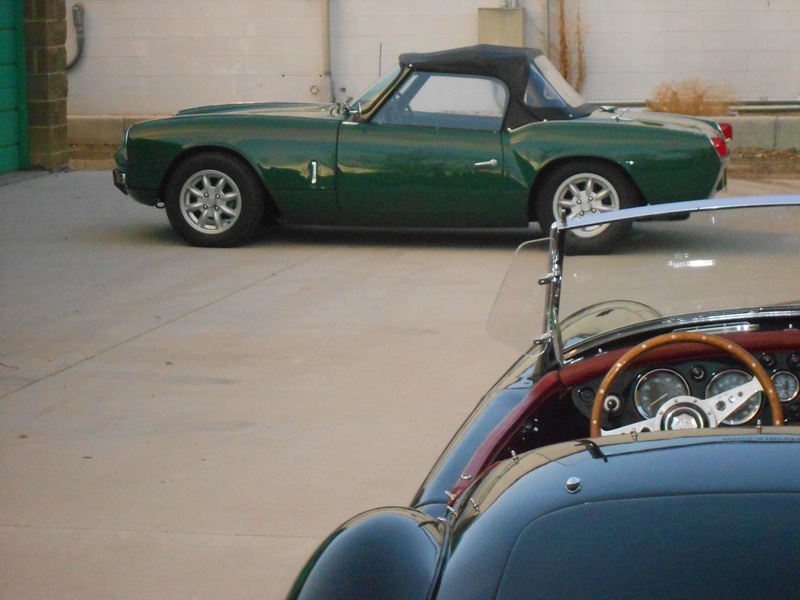 Here is the MGA at the shop next to the 1967 TR4A we enjoyed restoring. 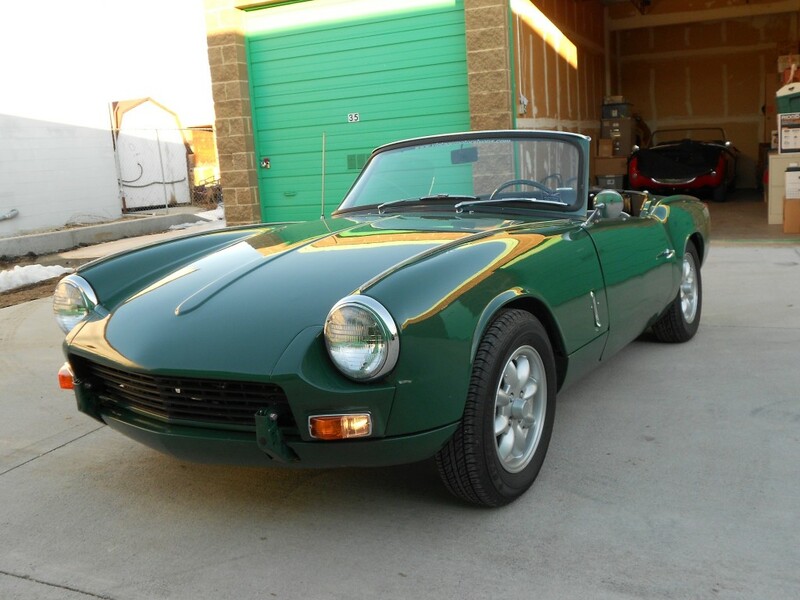 Here are a few photos of one of my now favorite, fun cars; our 1963 Mk1 Triumph Spitfire (FC1171TR2L). 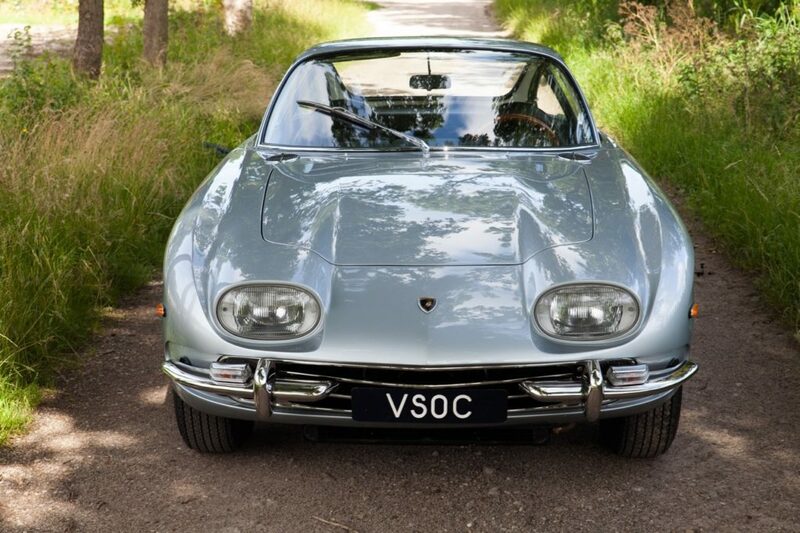 I must admit that when these cars were new I did not pay a lot of attention to them but with time they are now much more appealing to me (like many other things in life!). It has been completely rebuilt (special thanks to Mike Chambers) with several modifications (Spit aficionados may notice that the bonnet is from a MKIII Spit as the original was damaged beyond repair); the front and rear bumpers have been removed along with the badge and lettering from the bonnet, the Triumph lettering from the boot, and the separate pair of round rear signal lights. The signal, brake and tail lights are now all incorporated into the original Lucas rear tail lamps; all to achieve a sleeker, cleaner look which I feel accentuates this great Michelotti design. The 1296 cc engine is also from a MkIII Spit and is slightly heated up; bored twenty over; performance cam; headers and center exhaust; race type suspension, etc. making for a quick, nimble, and fun car to drive! 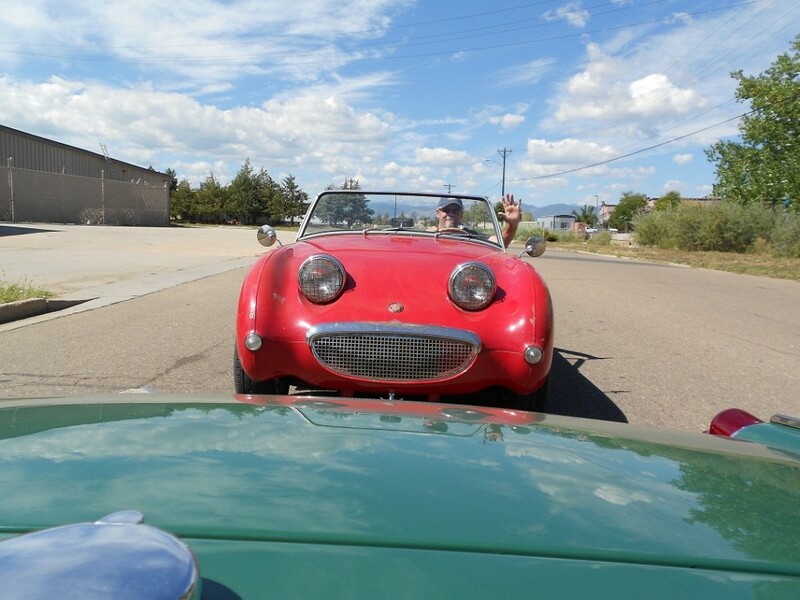 I took this shot from our Spit of my brother Tim driving our ’59 Austin Healey Bugeye Sprite. 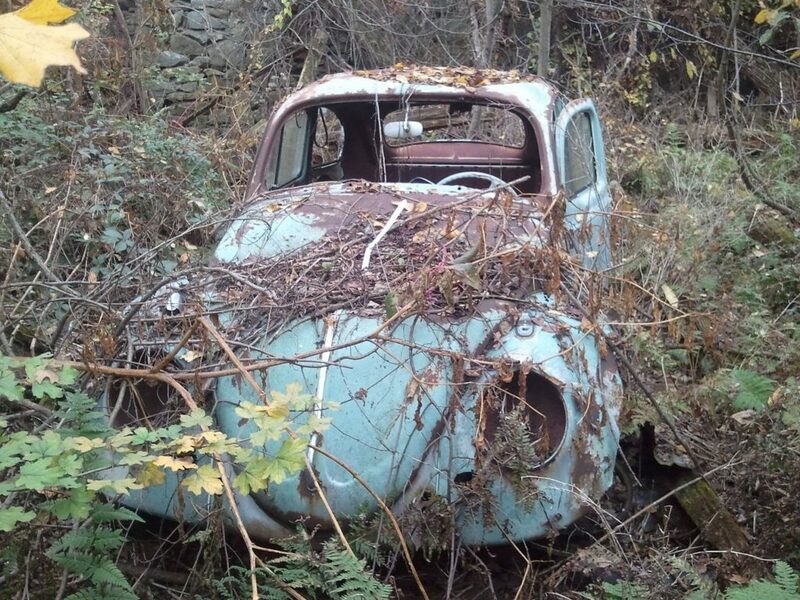 A Bugeye found him back in 1970 and he said driving one again was just so much fun!! Even now, some 46 years later, we can both attest that a Bugeye provides as much fun for the buck than most any sports car and the saying of “It’s more fun to drive a slow car fast than a fast car slow” certainly applies here! 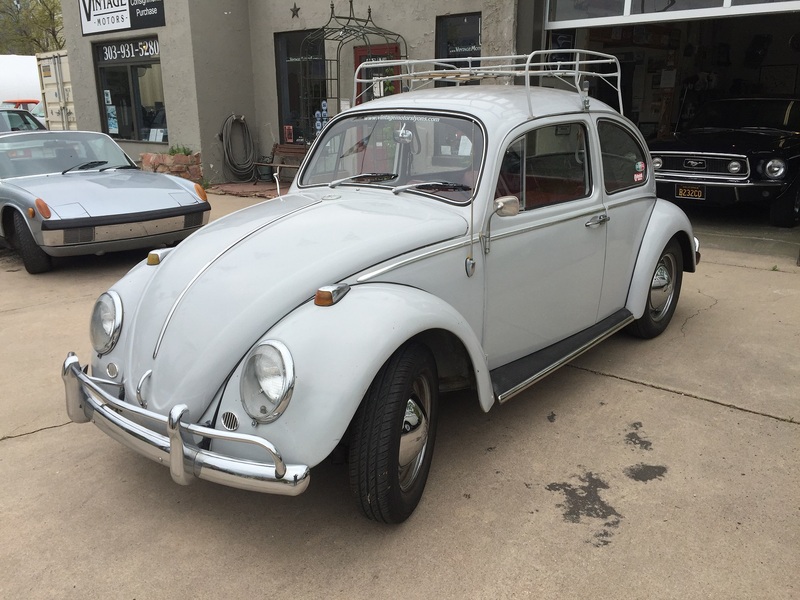 Here is a shot of Tim’s old (post Bugeye) VW Bug. It was left in our old barn and when the barn floor rotted away the Bug ended up on the ground below where the floor used to be. 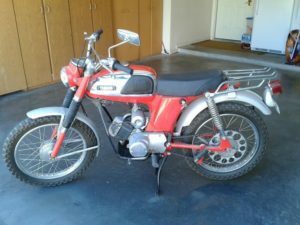 I guess you could say that this is a “Barn Site” Find now! 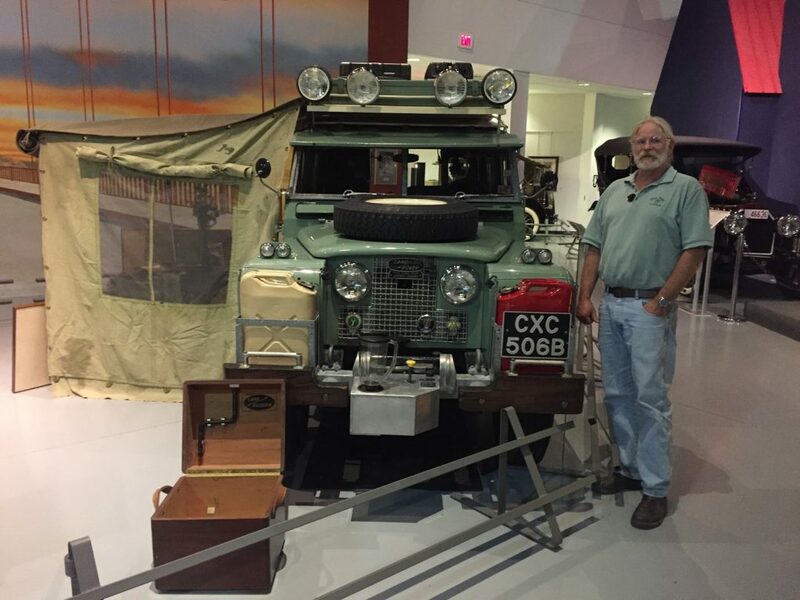 Here is brother Bob at the AACA Museum in Hershey, Summer 2016 where his 1964 Land Rover Dormobile 109 was featured in an exhibit; one of several vintage Land Rovers he has personally restored (being a fine cabinet maker his car restoration work is top notch too!). Please check out the article about Bob and his 109 in the Spring 2017 issue of Alloy + Grit Land Rover Magazine. In September 2014, my brothers, Tim and Bob, came to Colorado for a visit. Of course that visit centered around cars(!). 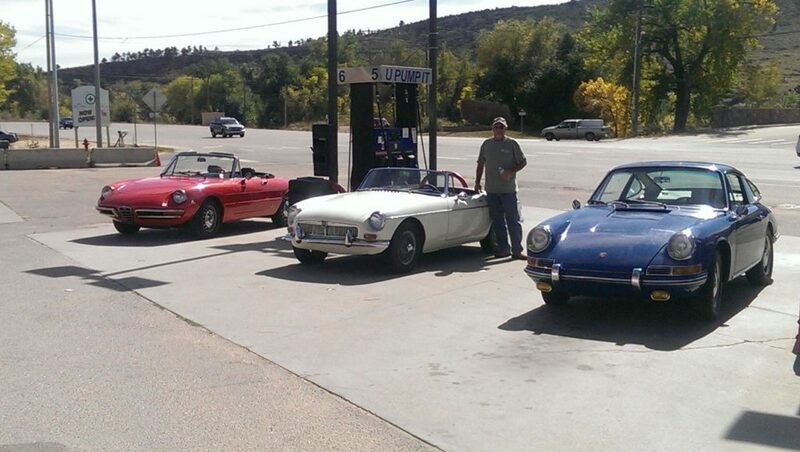 We had a blast driving this trio of wonderful vintage sports cars from Lyons to Ft. Collins and back on country roads on a sunny, Colorado blue sky day. 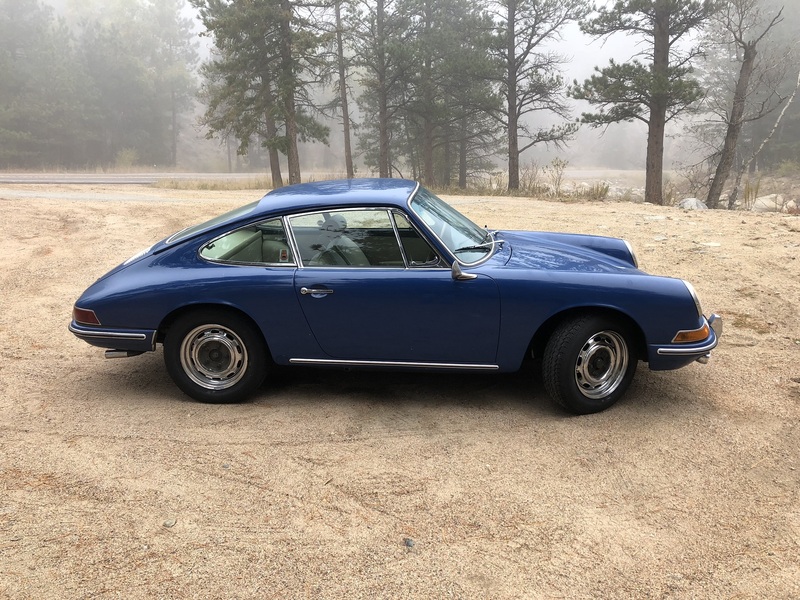 The cars we enjoyed driving were a 1969 Alfa Romeo Spider Veloce 1750, a 1967 MGB Roadster and a 1966 Porsche 912; which made for a “Red, White & Blue” day! 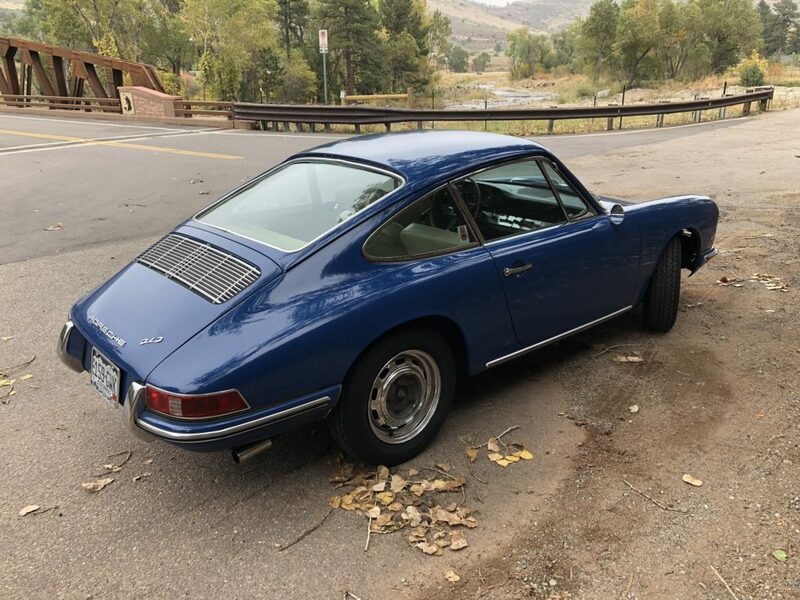 Tim purchased this nice ’67 B from us on this visit and trailered it back home to NC (where it shares the new garage he built for it with the ’65 B he’s restoring; see photo below). Here is a photo of the new garage brother Tim built for his MGBs! 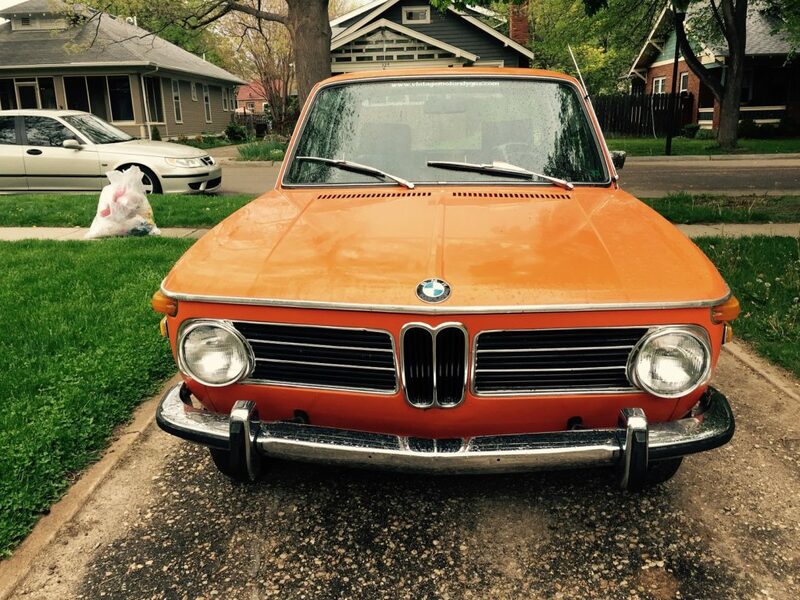 As is this 1972 BMW 2002 wearing much of its original Inca Orange paint! 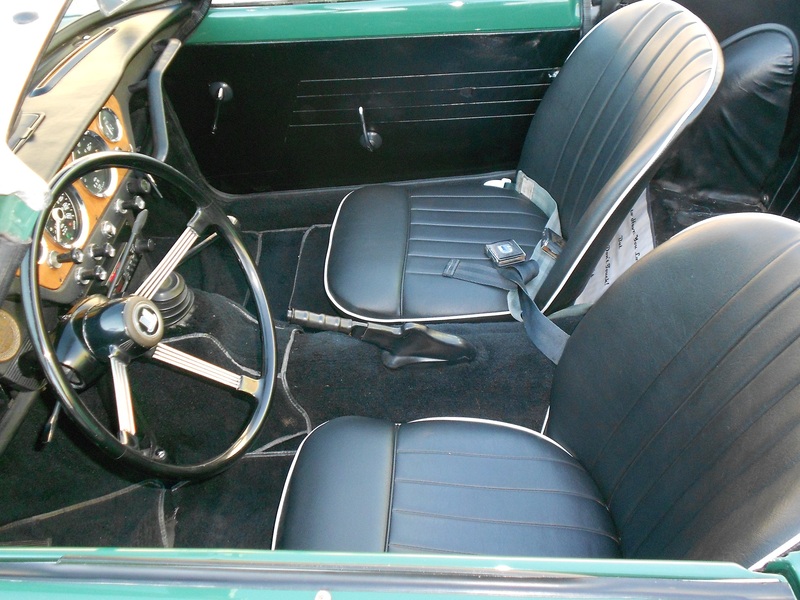 And can’t leave out the wonderful Alfas, Healeys, Jags, MGs, and VWs too!! I’m fortunate to have enjoyed quite a few vintage cars, trucks and motorcycles. Here’s one (see below) that I’d love to experience !! 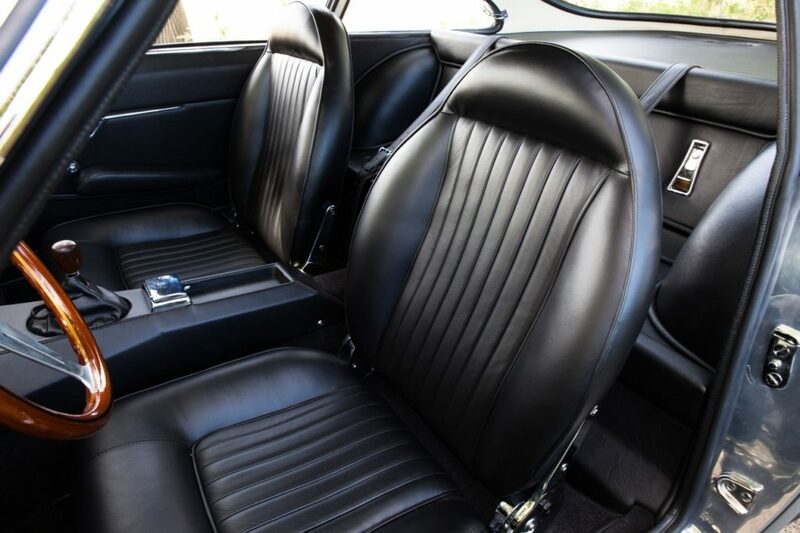 A 1964 Lamborghini 350 GT. To my eyes, just absolutely stunning!